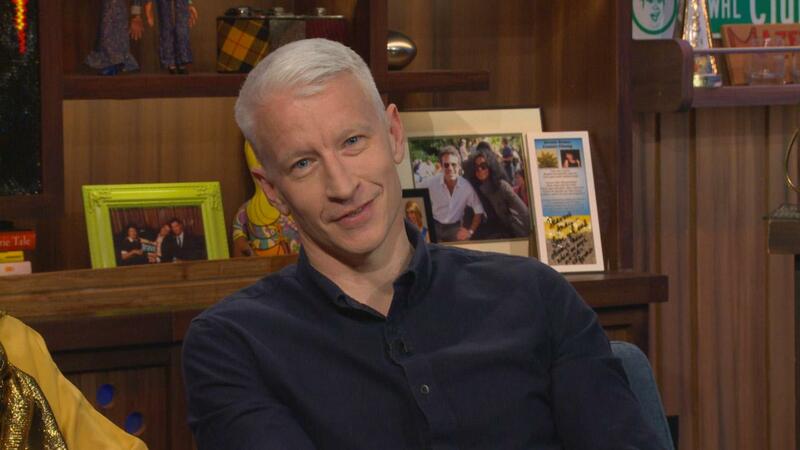 Anderson Cooper addressed the possibility of replacing Michael Strahan on Live! With Kelly and Michael while sitting down with Andy Cohen on Thursday's Watch What Happens Live, and it sounds like he might be interested. When asked by a caller if he would be interested in signing on as Kelly Ripa's new co-host, the CNN anchor tried to play the question off diplomatically, explaining, "Listen, I love Kelly and I think Kelly is the heart and soul of that show, and it's gonna go on and continue to be great." Cohen wasn't willing to let Cooper skirt the issue, however, pressing the 48-year-old newsman on whether or not he would accept the job if it was offered to him. "Look, I'm very happy at CNN," Cooper, who hosts CNN's Anderson Cooper 360, answered cautiously. "It would be a dream to work with Kelly, but nobody's offering anything." With Strahan leaving Live! next month and moving to Good Morning America, Cooper -- who also contributes to 60 Minutes -- is among several big names in the running to replace the former NFL star, a source close to production told ET earlier this month. Neil Patrick Harris is another strong contender for the job. "Producers loved Neil Patrick Harris when they were looking before," the production source told ET. "He was a frontrunner, and he has less going on now than he did three years ago during the search that ended with Michael getting the gig." For more on the stars who could be in line to replace Strahan in the coming weeks, check out the video below.